Our dental practice is very family-oriented, which is part of why we are called The Dental Family. Drs. Brett Druger, Irene Roytman Druger, Meha Sheth and Jenna Buckley treat all of our patients as if they are part of our very own family. We make a strong effort to get to know each patient as an individual. Our doctors and staff always go the extra mile to make sure each patient feels completely at ease here! Our primary goal is to achieve and maintain optimal oral health for each of our patients. We see to it that our patients leave the office happy and smiling. We always incorporate humor and light-heartedness into each visit! The most important attribute that separates us from other dental practices is our strong desire to create a family-oriented and friendly atmosphere. The fact that our doctors are a married couple helps to create this rapport throughout the office, and we hope the patients sense this closeness as well. We are extremely flexible and can accommodate any emergency on the same day. We want our patients to feel comfortable calling about any issue they may have. We go out of our way to make sure our patients are comfortable and at ease (and even have fun!) from the moment they walk in until the moment they leave the office. We are up to date with the latest technology, such as digital X-rays and paperless charting. We will continue to stay as active as possible in our Continuing Education in order to be sure that our patients are receiving the most up to date and proficient dental care. Come in for a complimentary consultation. We'll show you around our state-of-the-art facilities and introduce you to the team. Then we'll sit down to give you a simple exam and to discuss your oral health. We want you to feel comfortable with the services we provide to you and your family! 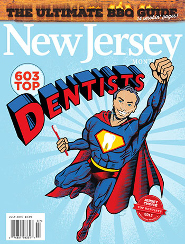 Contact our Westfield, NJ dental office to schedule an appointment with The Dental Family. We offer flexible hours for your convenience. Call us today!